Until now, only real estate agents were seen raising their voices against the increased property taxes – a development that adversely affected real estate transaction volume across the country. Now, we are receiving similar reports from the departments concerned, which, reportedly, have also seen a considerable drop in the revenue collected in the form of property transfer fees. It seems the matter regarding the increased taxes and its impact on the real estate industry is set to take an interesting turn. 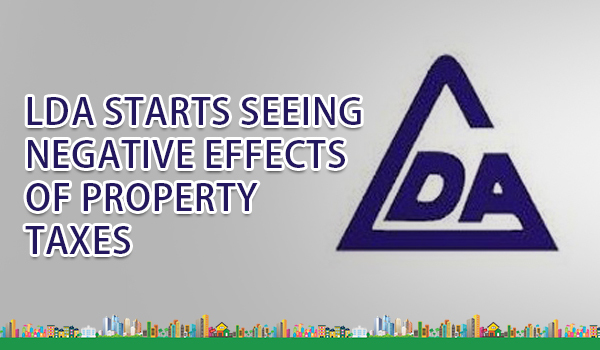 According to news sources, the Lahore Development Authority (LDA) bore a loss of PKR 130 million in the revenue collected through property transfer fees. Even more startling is the fact that this loss was recorded in one single month. Reportedly, the LDA collected an amount of PKR 150 million in the month before the new tax regime was implemented, which has now plunged to a mere PKR 30 million. This drop has raised financial concerns for the civic authority. While the LDA has already found it difficult to deal with drop in market activity, we can only imagine how hard it must have been for hundreds and thousands of folks related directly and indirectly to the property industry. Reportedly, the LDA office has seen a massive drop in the number of people looking to transfer property to their name, which makes it obvious that real estate agents, too, have little or no clients. It must, however, be noted that genuine property buying and selling continues. According to LDA’s record, previously the office used to receive 30 applications on average for property transfers daily, making the authority earn PKR 5 million per day. Now, if we do the math, not more than three people visit the LDA office for property transfers. In other words, the property transaction volume has dropped by 90%. If we look at the LDA’s current revenue, there has been a drop of 80%, which is pretty much the situation of the real estate sector on the whole. With the new tax regime in place and its effects on the market, it is difficult for the departments concerned to raise appraised revenue from the property sector. In such situation, rolling back some of the property taxes seems indispensable; let’s see how soon that happens.